Approximately 10,000 people are injured on escalators every year in the United States. These injuries usually involve a person who slips and falls on an escalator, hurting themselves when the fall down the sharp metal steps. However, a small number of injuries are the result of mechanical defects that can pull clothing or body parts beneath the escalator. 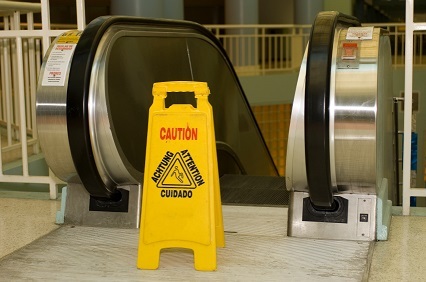 Whether an escalator injury is the result of a fall or of defective equipment, the way it was designed and the safety equipment installed on it play a big role in minimizing the severity of the accidents on it. If you suffer an injury on an escalator without this safety equipment, it may be an indication that the designer, owner, or operator of the escalator were negligent in their considerations of your safety. If you’re not sure whether the escalator had all these features or not, you should consult with the slip and fall attorneys at Weiser & Associates. Our expertise in slip and fall cases will help you determine whether you have a viable case, and how much you can expect to receive in damages. Contact us at (212) 213-3111for a free legal consultation. We serve clients throughout the five boroughs and in Suffolk County.